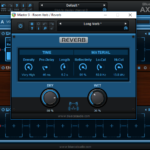 In this tutorial we are going to create an monster acoustic guitar simulation preset using a simple coil neck pickup as input and 2 independent Re-Guitar setups, using only Axiom‘s internal Amps and FX (free preset download included), check it out! 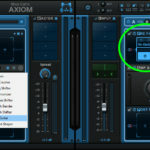 Step 1: Open Axiom and load the Re-Guitar plugin in the PRE FX A section. 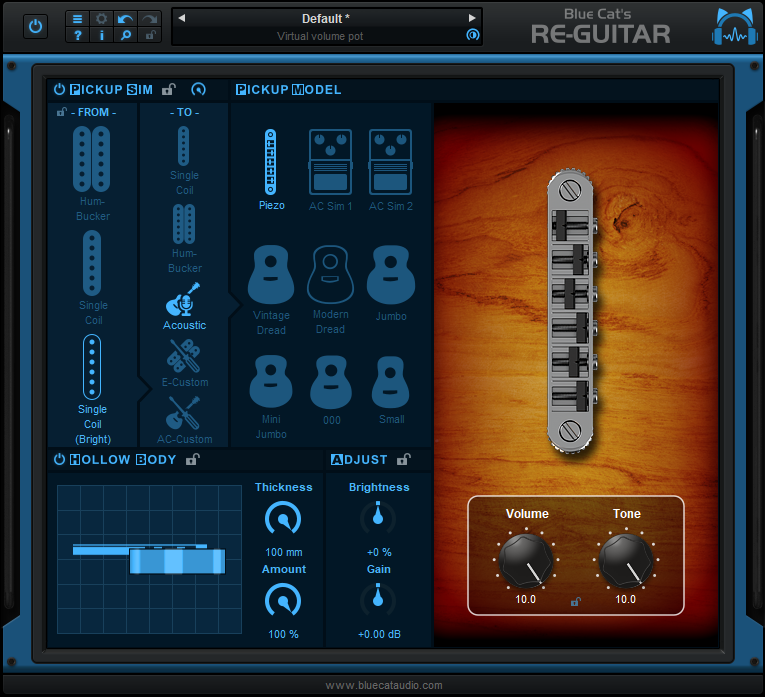 Then open de Re-Guitar editor window. 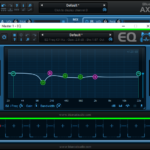 Step 2: We’ll use two independent signal paths inside Axiom. 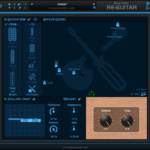 The idea is to have a good attack from a piezo pickup mixed with the sound of an acoustic guitar simulation for a nice and powerful dynamic setup. As you can see I use the Single Coil Bright pickup as input for Re-Guitar, but on my guitar I use the Mid and Neck single coil pickups together to get best results. Feel free to experiment with other options! 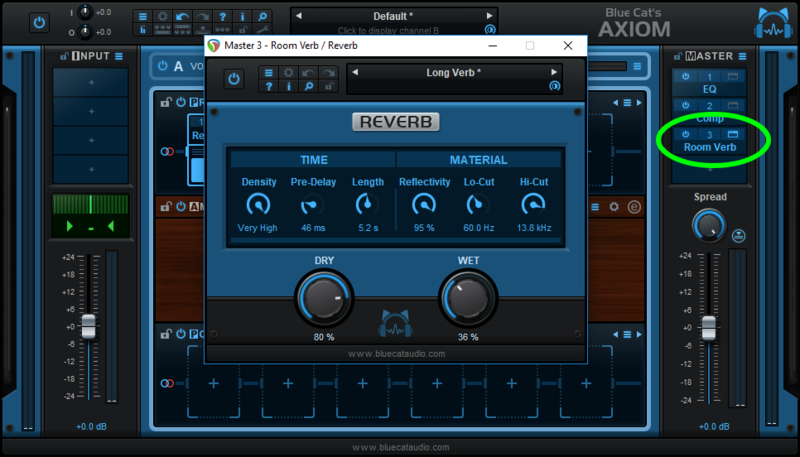 Step 3: Close the Re-Guitar window and work on the AMP A section of Axiom: let’s start with a good basic preset called Piezo Solo (Factory Presets > Guitar Piezo > Piezo Solo) and then load the AMP A (= Destructor) editor. 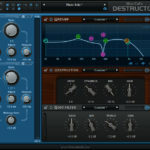 De-activate the Post-Filter section and use the settings displayed in the image in your editor. 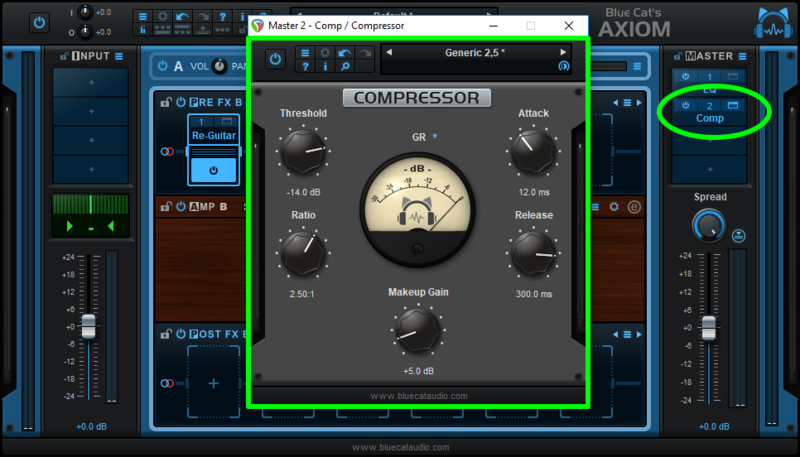 Step 4: Close the Destructor (AMP A) editor and copy this A section and paste it into the B section like in these pictures. Then activate and select the B channel. 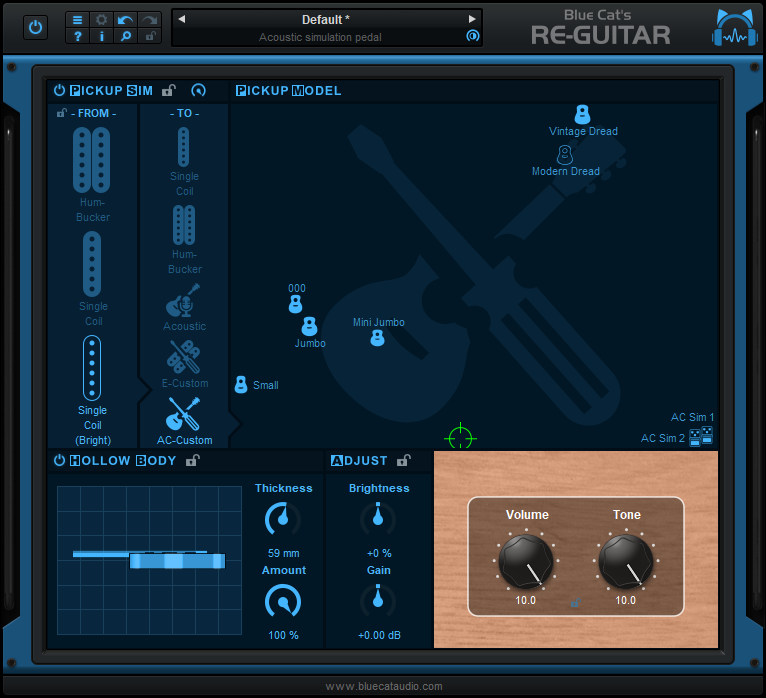 – in the Pickup Model section set the cursor to the bottom center position like in the image, but feel free to experiment other settings as well: this tool is really powerful and can help you create tones way beyond the other pickup options. – use 59mm (Thickness) & 100% (Amount) in the Hollow Body section and close the editor. 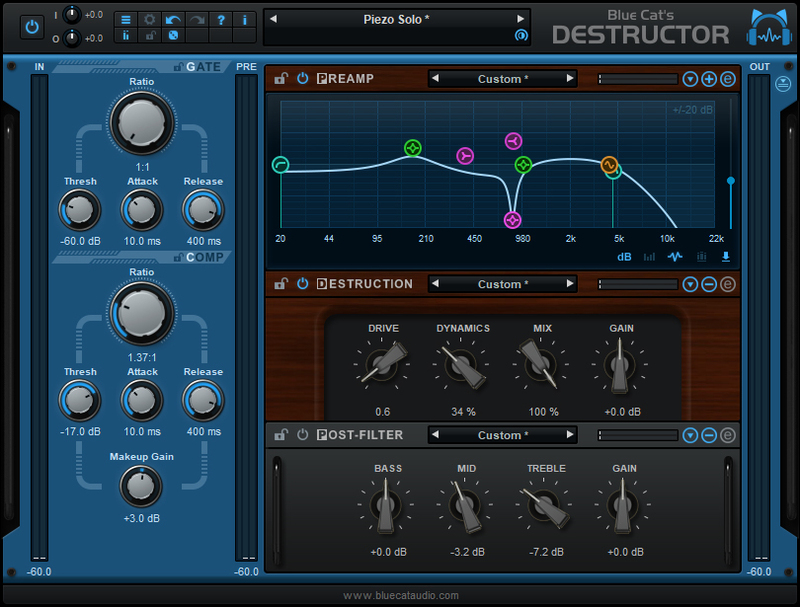 Step 7: You should already start to hear a nice basic acoustic simulation, but the fun doesn’t end here! 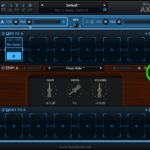 In the Master section we’ll use 3 additional FX to spice up our tone even more. 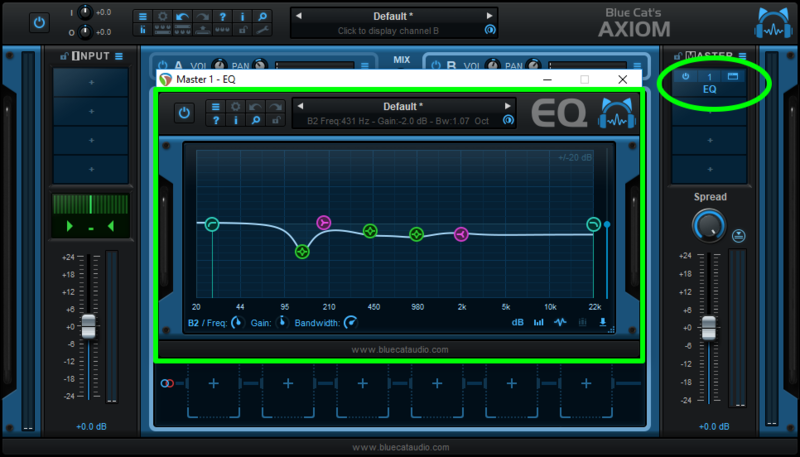 Step 8: Insert the EQ & IR Loader (built-in EQ & filters > EQ & IR Loader) into the first Master slot. and use the following settings (see image). 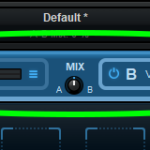 Step 10: Now for the icing on the cake, insert the Reverb (Buil-In Delay & Reverb > Reverb) plugin into the next Master slot with these settings. That’s it! I hope you enjoyed this new tutorial. 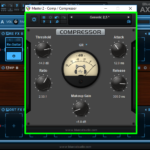 You can now listen again to the demo with this preset, and download the Axiom preset for this tutorial: Download Acoustic Monster Free Preset For Axiom. 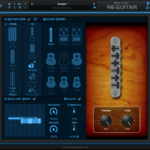 Do not forget to adjust the settings to your own pickups and playing style! 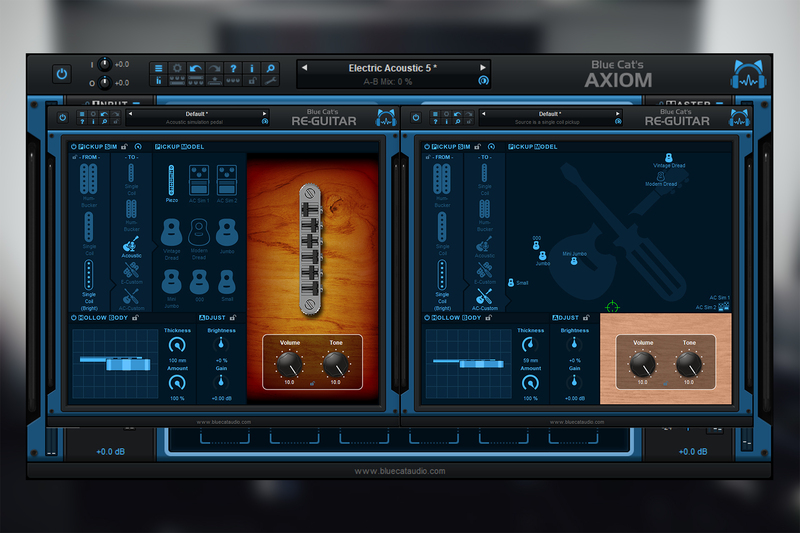 This entry was posted in Tip of the Day / Tutorials, Videos and tagged Axiom, Re-Guitar by Hans Van Even. Bookmark the permalink.